My son had tears in his eyes when he got off the bus. A group of boys —his classmates and friends— spent the day taunting another child. The “target” was the son of a garbage collector. This newly discovered fact caused a rumble in the pecking order and an opportunity for some unkind “fun” at another’s expense. My heart ached as my third-grader voiced his concern. His pain was my pain. Grieving with him and attempting to offer some guidance, I encouraged him to be a good friend and to come to Andy’s* defense when he had the opportunity. I reminded him that some of the “trash-talking” boys might be influenced for good, but it wouldn’t be easy for him to do the right thing. We prayed over the situation and then I gave him a big hug. These kinds of discussions were pretty typical at our house. We attempted to spend thoughtful time processing events and praying though difficult situations. When we took the time to talk about perspective and ask God for guidance, we found a purpose for the pain and a positive way to think and relate. Although none of us want problems to occur in our lives, or the lives of our children, there’s an important principle to remember. Difficult situations can open doors to meaningful conversation. And a meaningful conversation is fertile ground for growth. Embrace these ideas and be ready to influence and guide your kids. 1. Be spiritually prepared. Spend time with God each day. The wisdom you need to offer your child is only available from God. 2. Maintain an emotional distance. When a crisis occurs, don’t get so emotionally involved in the problem that you lose your perspective and the opportunity for growth that the problem provides. Your angry response won’t help your kids. Get your own emotions under control before you enter into a conversation. 4. Use the conversation in a productive way. Affirm positive character traits, challenge negative patterns, and plant seeds for the future. 5. Pray with your child about the issue. Ask God to work out His will in the situation. Ask God to direct your child’s path and to give her the strength to make hard choices. Ask God to work in the lives of all the people involved in the situation. In the midst of conflict with peers, struggles with authority, or questions about fairness, your children need you to offer encouragement, a vision for the future, and lots of love. By God’s grace and with your own spiritual preparation, you can be ready to engage when your kids bring you their problems. 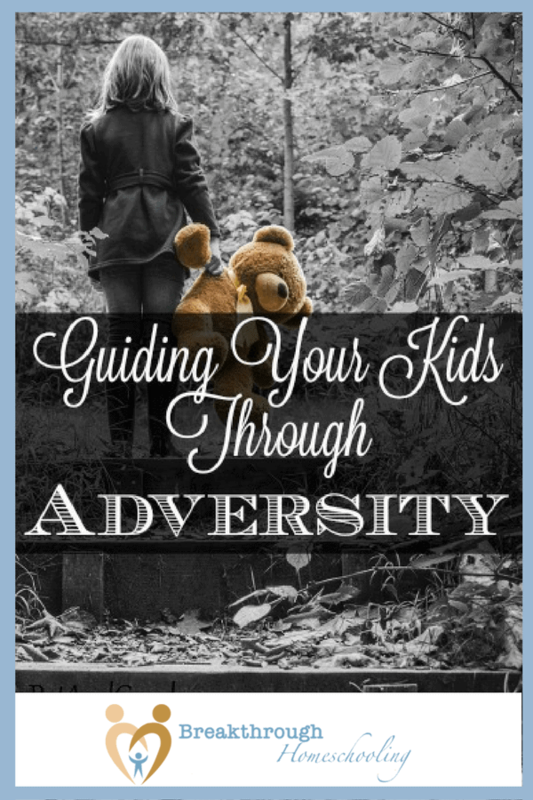 With honest but hopeful exchanges you can show your kids how to grow from adversity. What tough issues are you helping your children through right now? 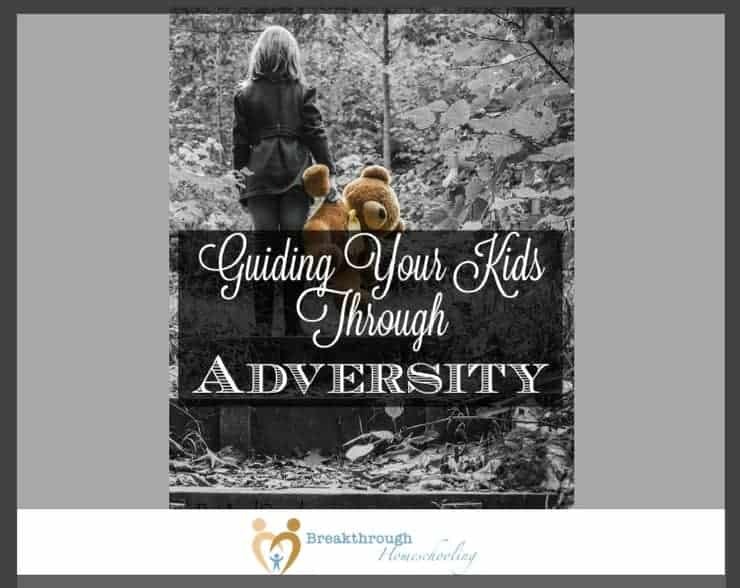 How have you been able to turn prior adversities around for your child’s benefit – and for those around him (or her)? * Andy is not his real name but this true story has an awesome ending. Eventually, the teasing stopped and Andy was accepted by his peers. The boys all sat at the same table at lunch and played together on the playground. Andy became the first in his family to graduate from high school and the first to attend college.